Desc: 14 kt. 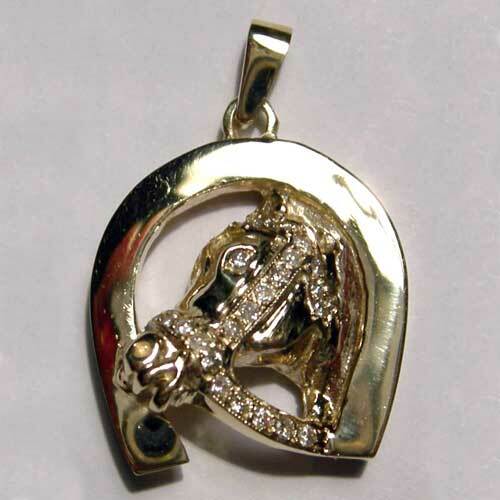 yellow gold horsehead with bridle inside horseshoe. Diamonds are in the bridle and eye of the horse. The approximate weight of the Round Brilliant Cut diamonds is 0.27 cts total weight.